After further failure in the Champions League this season, another managerial change at Paris Saint-Germain could be incoming, and that’s bad news for Chelsea and Tottenham, as per reports. The French giants have made no secret of their desire to make progress in Europe, and the summer signings of Neymar and Kylian Mbappe were undoubtedly geared towards that. However, they came unstuck in the last-16 against Real Madrid, which means another year where they have failed to get past the quarter-finals stage since their takeover. 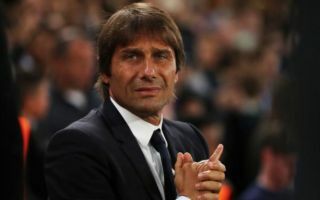 Now, ESPN report that Antonio Conte and Mauricio Pochettino are at the top of their managerial shortlist of replacements for Unai Emery, who will see his current contract expire at the end of the season. While it will likely be difficult to prise either way from the Premier League, there are legs in a potential swoop for either. Pochettino enjoyed a stint at PSG during his playing career and so could be open to a sentimental return to the French capital, while as noted by The Telegraph, Conte is said to have had a difficult relationship with the Chelsea board this season. Whether that’s enough for either to quit their current jobs and start a new challenge in France remains to be seen, but the Ligue 1 leaders need to find a coach capable of leading them to the next phase in their development. Winning domestic silverware is great and should be enjoyed, but PSG continue to fall short against the big teams in Europe, and that will be an ongoing frustration for the hierarchy who will undoubtedly want to see the club compete for the biggest prizes given the investment in the squad.